Banerjee announced that the state government would give Rs 1.7 crore for upgrading the Kanchenjunga stadium. 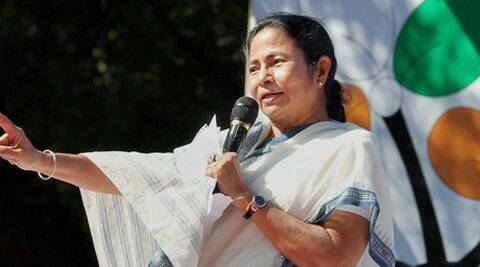 Stressing on unity of people in the plains and the hills, West Bengal Chief Minister Mamata Banerjee on Wednesday called for sustaining peace in Darjeeling which has returned after bandhs crippled life in the recent past over the demand for a separate Gorkhaland. “I want the people of Darjeeling, Dooars and Terai to live together. I want people in the hills to be happy and smile,” Banerjee said in obvious reiteration of her government’s stand that Darjeeling was part of the state and that there was no question of its division. “I love the hills and its people just as I love the plains and its people,” she told a programme referring to development projects being implemented in Darjeeling and adjoining Dooars and Terai in the plains. With the relations between Banerjee and the Gorkha Janamukti Morcha President Bimal Gurung having improved he shared the dais with her. Banerjee visited the Ramakrishna Mission Nivedita Educational and Cultural Centre at Roy Villa where Sister Nivedita had breathed her last. The chief minister inaugurated a school of languages and a computer centre at Roy Villa in the presence of Gurung, the chief executive of the Gorkha Territorial Administration, the council which runs the administration in the hills. A cheque of Rs one crore to the Ramakrishna Mission was given on behalf of the North Bengal Development Council. Later, both Banerjee and Gurung attended a government programme at Lebong where winners of the Himal-Terai-Dooars Sports festival were felicitated. “Our government will revive the Darjeeling Gold Cup football tournament immediately,” she said. Footballers Bhaichung Bhutia, Mehtab Hossain and Alvito D’Cunha lauded the chief minister for encouraging sports inthe hills. “This region has produced a lot of footballers for India and Didi’s (Mamata Banerjee) effort will further encourage budding footballers,” Bhutia, the former India captain said. Banerjee announced that the state government would give Rs 1.7 crore for upgrading the Kanchenjunga stadium. Stating that over 400 clubs participated at today’s programmes, she announced Rs 25,000 to each of them. Later, at a meeting between Banerjee and Gurung issues relating to the GTA was stated to have been discussed. On Thursday Banerjee is scheduled to attend a programme at Chowrasta to mark Netaji Subhas Chandra Bose birth anniversary.